Snowboarding is serious business. The crashes, cold winds, and neck deep drifts are enough to keep most kids on the couch. 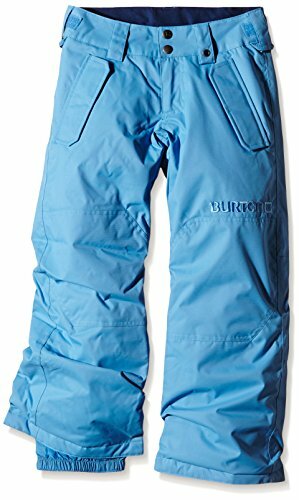 Lucky for you, there's the boys' Burton Parkway Pant; fully reinforced against the elements with durable DRYRIDE weatherproofing and the mountain-grade warmth of ThermacoreTM insulation. Bonus features include Room-To-GrowTM legs that extend for multi-year use, Leg LiftsTM to avoid scuffed cuffs in the parking lot, a built-in adjustable waistband, and a fully loaded standard features package.